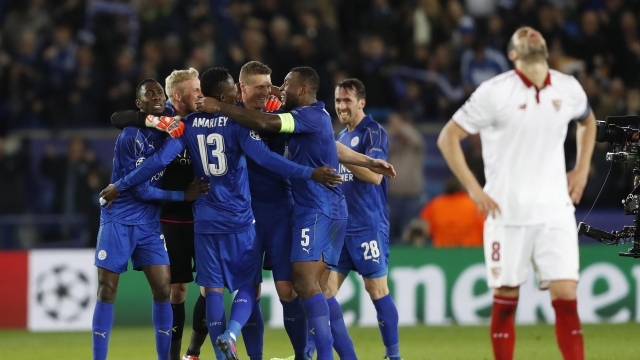 Sporting metaphors and Leicester City in the last 8 of the Champions League!!! I am from Leicester and this morning feel very excited because Leicester City are now in the last 8 of the Champions League! The club did it rather badly but the heroic manager Claudio Ranieri was sacked. Whether it’s a temporary rebound or not, equipped with a new strategy, a clear goal and a sense perhaps of needing to prove themselves, the team has undergone a complete transformation. Same players, same level of talent but a change. It occurs to me that many businesses and clinics go through the motions. They are stale. This doesn’t mean fire the boss (you may be the boss! ), but some catalyst to change is needed which can transform the fortunes of any business and breathe new life into team members. The starting point for many could be a business or personal coach, to help draw out the vision of what someone really wants to achieve. The clear setting of goals, taking the proverbial head out of the sands when looking at the future and then implementing change. Or it’s a case of meeting people from outside your current sphere/ goldfish bowl to get some fresh perspective on what others are doing. Leicester City shows me that we are all capable of doing a lot better than we think, but we have to find a way to channel that energy, sprinkle a good dose of belief and maybe a little bit of luck into the mix and then we can achieve our goals. Some talent is necessary but in the business world, tenacity and perseverance trump talent in the long game. Leicester may get relegated and knocked out of the Champions League or they could stay up and win the Champions League! But their lesson is plain to see. And now, bring on Barca!